If you are planning to spend the weekend at your favorite Mobile Alabama bed and breakfast, get your running shoes on, your senses primed and your taste buds ready for the Azalea Trail Run, the Festival of Flowers and Foodie Fest that will take place Saturday, March 23, 2013. In the midst of dogwood blossoms, azalea blooms and the aroma of wisteria, thousands of people will gather to participate in the 36th Annual Azalea Trail Run. 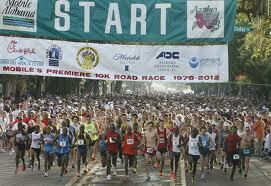 This championship 10K race through the city streets of Mobile has had multiple world records set in years past! The race starts at Canal Street and proceeds down Dauphin Street, around Fulton Street; up Government Street and finishes at Franklin Street. The entire course is set on flat city streets and designed to be fast. There is also a 5K and 2K run walk. The festivities will last all day beginning with the Wheelchair 10K start at 7:50am and then the 10K race kicks off at 8am. The 5K race will start at 8:15am; followed by the 2K Fun Run Walk which will begin at 10am. There will be live music, food and drink as well as a health expo. Would you like to visit Mobile? Share with us you trip stories at Facebook! A horticulture paradise awaits you at the 20th Annual Festival of Flowers on the beautiful campus of Providence Hospital in Mobile. This is the Gulf Coast's largest garden and flower event and promises to offer not just azaleas, but almost every bloom imaginable. It will be scent-sational! Plan to do some garden shopping in the Gardener's Galleria or grab a bite to eat in the Garden CafÃ© before taking a walk outdoors into a rainbow of more than 300,000 square feet of beautiful blooms. 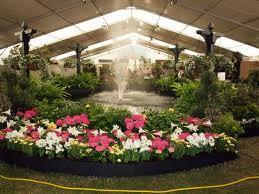 Discover water features, lush garden landscapes, container gardens and more. The Festival of Flowers runs from Thursday, March 21st through Saturday March 23rd from 9am to 5pm and on Sunday March 24th from 12 pm to 5pm. What is your favorite spring flower? Share you festival picks and pics with us at Facebook! Never pass up a chance to have some good food and that is exactly what you will experience at the Azalea Trail Foodie Fest on Saturday, March 23rd from 8am to 6pm at the Mobile Civic Center. The Foodie Fest offers the best in local and regional cuisine and features chefs, cooking demonstrations, caterers, restaurants and culinary arts presentation from the Gulf Coast. More than just food, the Foodie Fest will have a wine and beer garden, live entertainment and art. If you taste something you like, head over to the marketplace where you will find foodie ingredients and the latest in culinary products. The Foodie Fest is relatively new to Mobile, but it has caught on quickly to become a popular and fun event for the city. Don't be surprised if you don't see a few famous faces in the crowd! Previous guests included Anthony Bourdain, Rachael Ray, Curtis Stone, Guy Fieri and Bobby Flay. What's even better? The Azalea Trail Foodie Fest is free to the public! 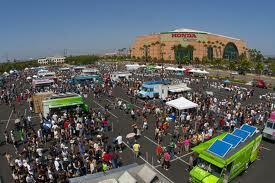 Have you been to the Foodie Fest before? Tell us at Facebook!